Interview trainers, ask for a free session to find out if you are compatible and have a list of questions for them. 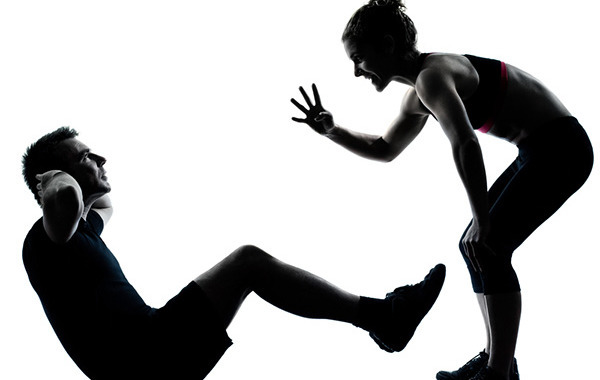 You are investing in your trainer so your trainer needs to be willing to invested in you. Why did you become a personal trainer and what is your vision for the future? If this isn’t a heartfelt answer or if the future holds something other than being a health and wellness professional this could be a sign they are not committed to wellness. What area of fitness in particular is this trainer passionate about? If they love teaching group classes and really getting their clients to push the limits, this may not be a good fit if you are looking to improve your posture and imbalances, or if you like to go at your own pace. An exception would be to get into a group program, if the trainer is experienced and progressive to apply smart training. When was the last conference, training or research this trainer completed? If it been a while (3-6 months) this can be a sign of lack of interest or passion in their chosen field. This trainer is not keeping up with new research, progression nor innovation.. Some of the ideas we followed 10 years ago are obsolete and not as safe as we once thought. What happens when you are struggling with your goals? You want your trainer to be able to provide you with options that will help you push through your set backs. You don’t need to hire the first personal trainer you meet unless of course they tick all the boxes and you feel good about them. In the end you want #ATrainerThatCares about your safety, goals, results, and most importantly YOU. Posted in Fitness & Wellness Tips and tagged boot camp, Charlotte, fitness, personal training, weights.